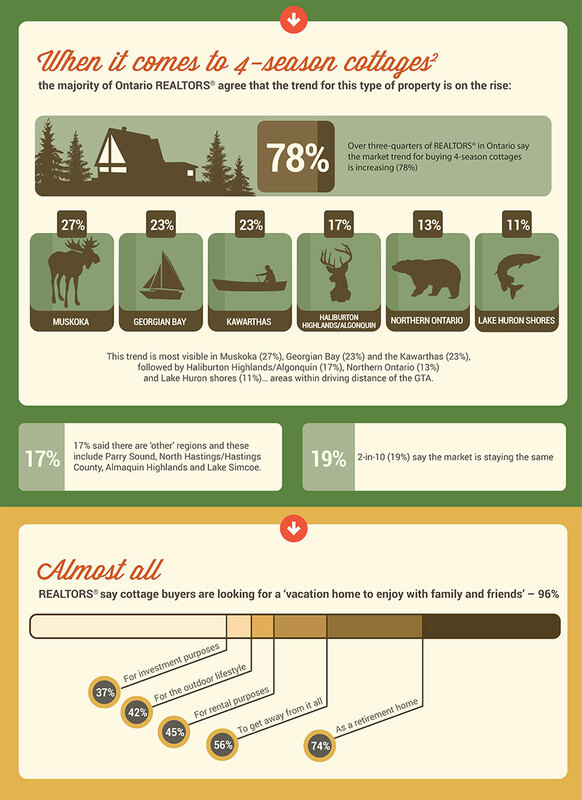 Are you in the market for a cottage in Ontario? Many people are. According to a survey done by OREA (the Ontario Real Estate Association) in October 2016, 78% of REALTORS® say the demand for cottages is increasing. See some of the survey results below.